Based at Infiniti EMEA headquarters in Rolle, Switzerland, Nicolas Tschann will co-ordinate all new-model development for the region. Reporting to Fintan Knight, Vice-President Infiniti EMEA, Tschann will work closely with Infiniti EMEA's product managers and product planning teams to develop new models increasingly tailored to specific market needs. "At Infiniti, as the newest premium automotive brand, we have the ambition to disrupt and lead the premium segment with great technology, fast innovation and seductive styling - the imminent arrival of Q50 with the world's first and fastest electric steering system is the beginning of an era," said Fintan Knight. "The fact that we have created this senior role shows how crucial it is to Infiniti's future here. 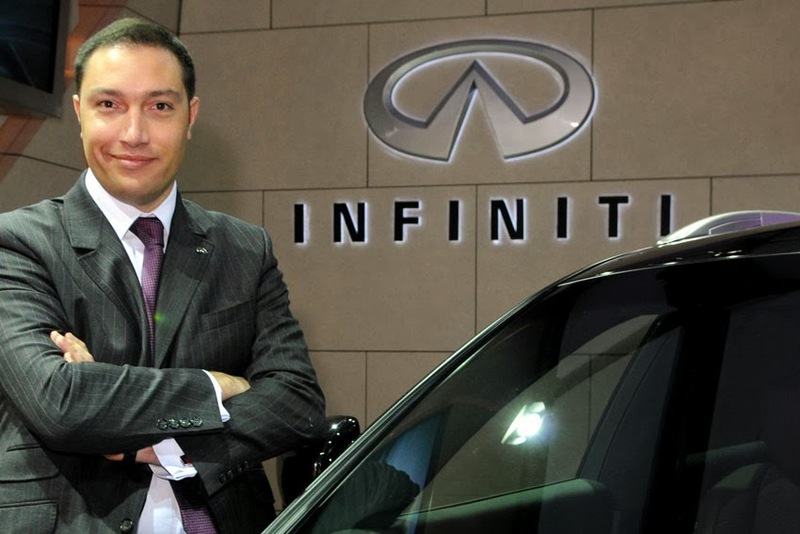 Nicolas brings with him a wealth of Infiniti experience, local knowledge and product passion and is exactly the right person for what will be a very demanding but hugely rewarding job." Nicolas Tschann has worked for Infiniti in Europe in a variety of product planning and product marketing roles since 2006, when he joined the brand from Nissan Europe. French by birth, he has degrees in engineering and a masters in marketing from universities in Paris. Prior to his appointment as Product Director, Nicolas Tschann was Chief Product Specialist with Infiniti EMEA in Rolle, a job that included steering the Infiniti Q30 Concept to its successful world debut in Frankfurt in early September. As Product Director based in Switzerland, Nicolas Tschann is part of a rapidly increasing Infiniti presence in Europe, and will be working closely with Infiniti teams at design and technical centres in the UK as well as with the Infiniti Red Bull Racing Formula One team. In addition, Infiniti recently confirmed that work would soon begin on its first assembly plant in Europe, in Sunderland, UK, where an all-new compact premium car based on the Infiniti Q30 Concept will be built from 2015. "In new product terms, this is the most exciting time for Infiniti in its short history in Europe. There are great challenges ahead but we have great expectations and I am confident we can build on our achievements so far and develop models that take premium motoring to new customers," said Nicolas. "Nicolas' appointment marks our intention to ramp up new-model development so we can introduce Infiniti's provocative design and leading technology to even more sectors of the premium car market," added Knight.